What happened to the rainbow pound cake? I finally had time to do something with the the leftover pound cake from last week’s cake (besides taking it to work and letting my coworkers eat it). 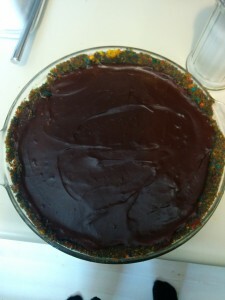 I mashed it all up and added a bit of butter and made a chocolate pie with a rainbow crust. 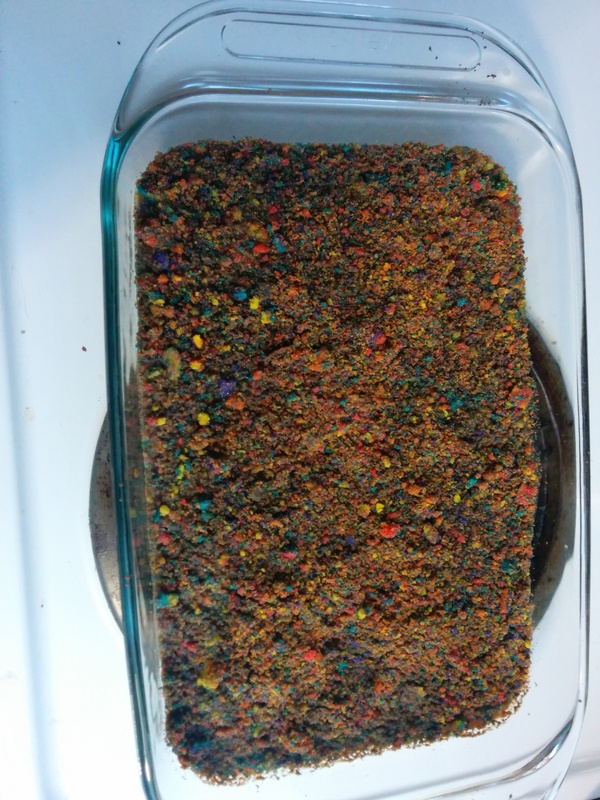 Plus I had enough leftover to make rainbow lemon bars. 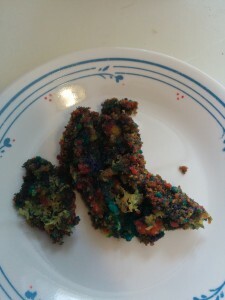 They did not hold together as well as I would like, but they were very good, and looked very cool.